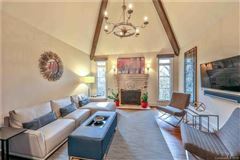 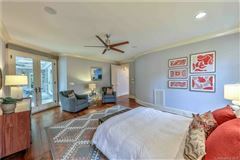 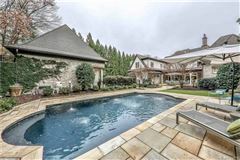 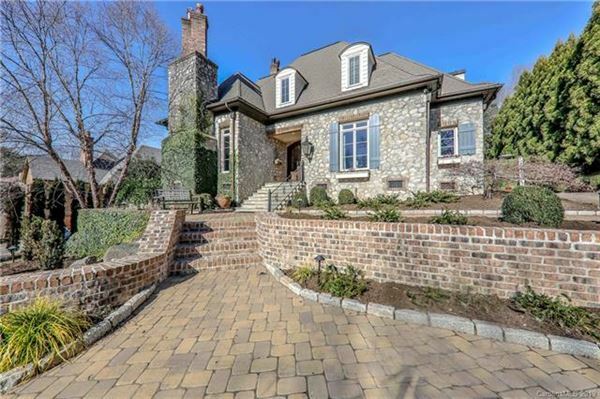 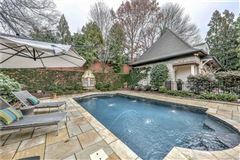 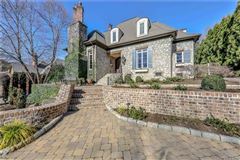 Elegant home on private half acre lot within minutes of Southpark and Uptown. 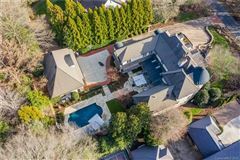 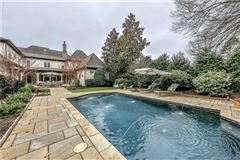 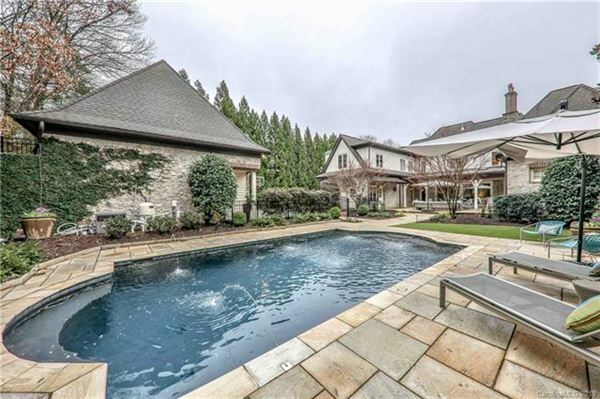 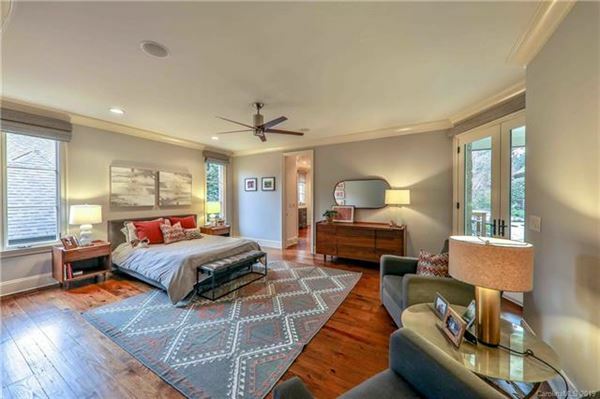 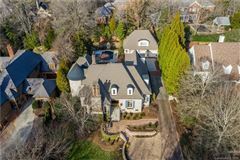 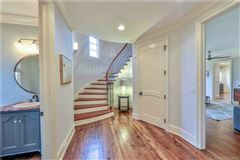 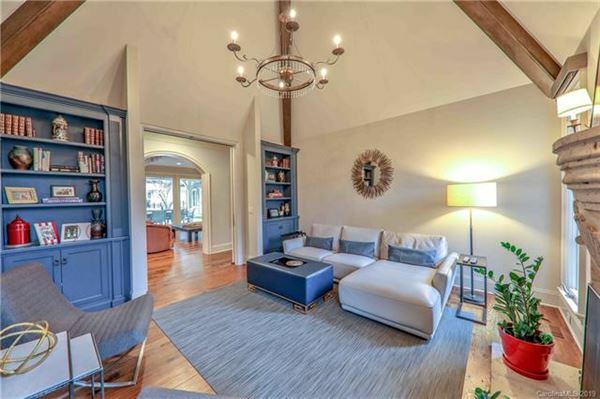 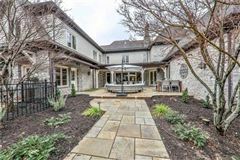 Main house has heart pine floors throughout main level and features four bedrooms, four full and two half baths with private master suite on main level. 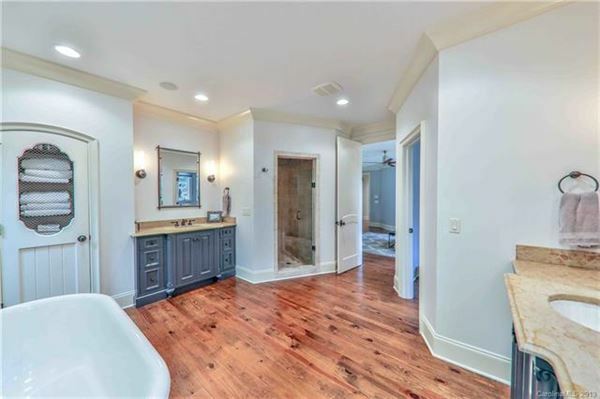 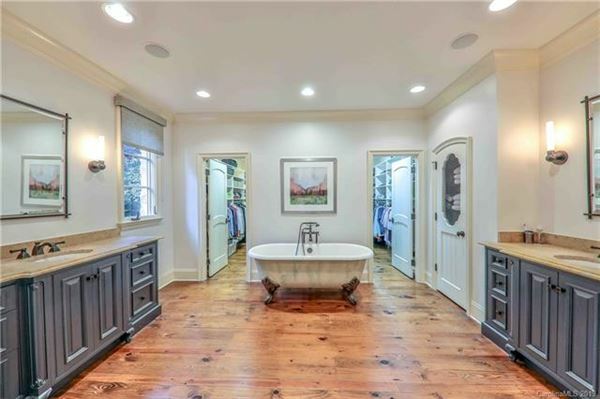 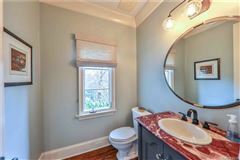 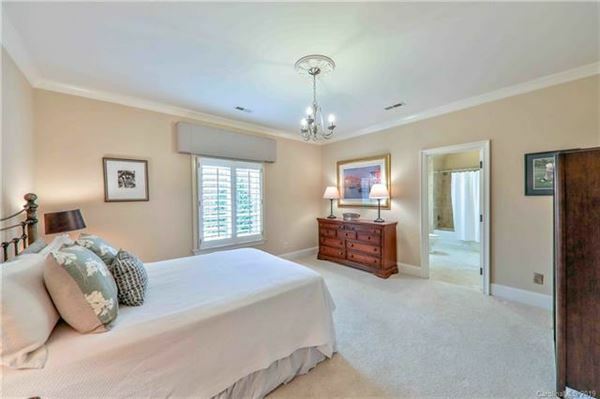 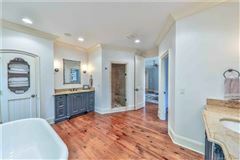 Huge master bath with his/her closets and vanities. 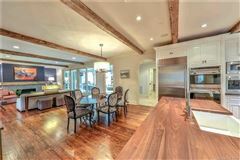 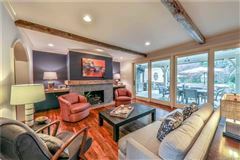 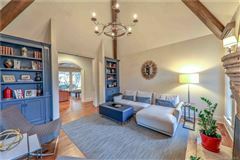 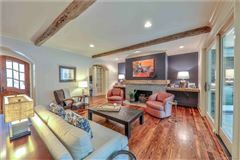 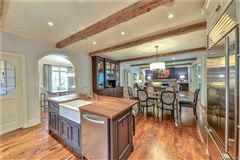 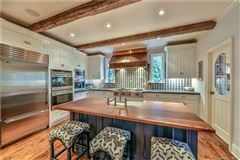 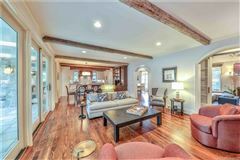 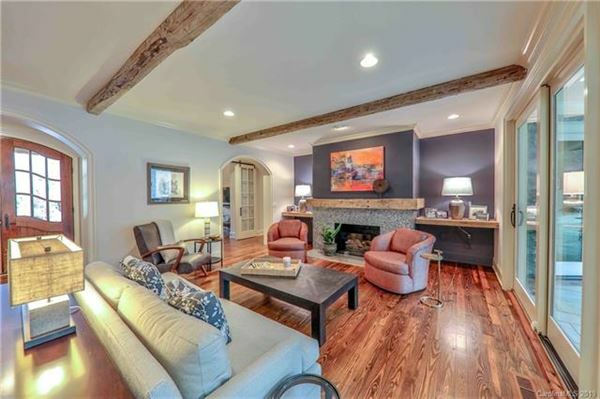 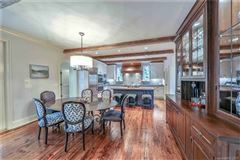 Great room with fireplace and wood ceiling beams open to cook's kitchen with informal dining area, commercial stove and walk-in pantry. 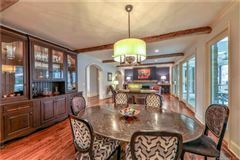 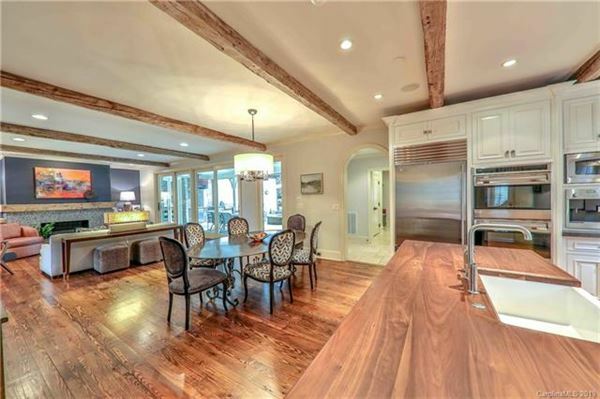 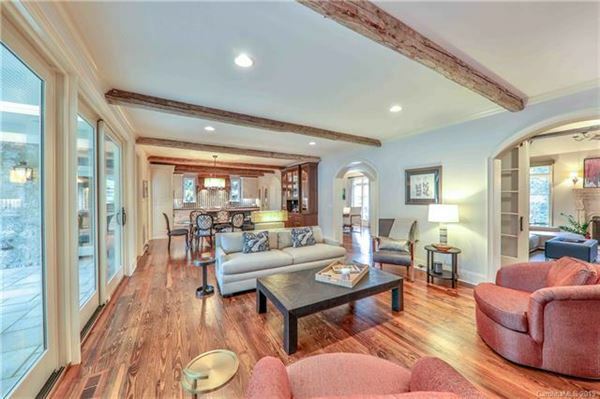 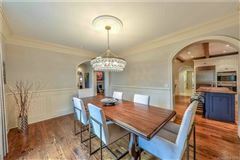 Formal dining room; study has stone fireplace, vaulted ceiling with wood beams, built-ins. 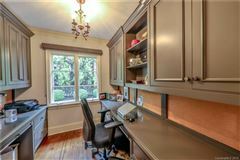 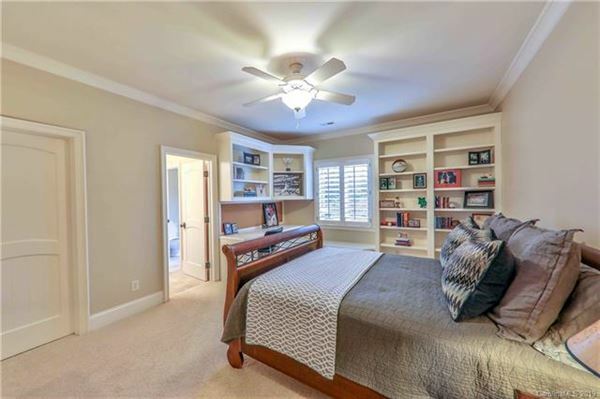 Home office with built-ins, laundry/utility room with half bath. 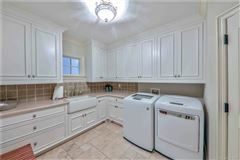 Upstairs has three ensuite bedrooms and large family room with built-ins, wine fridge etc. 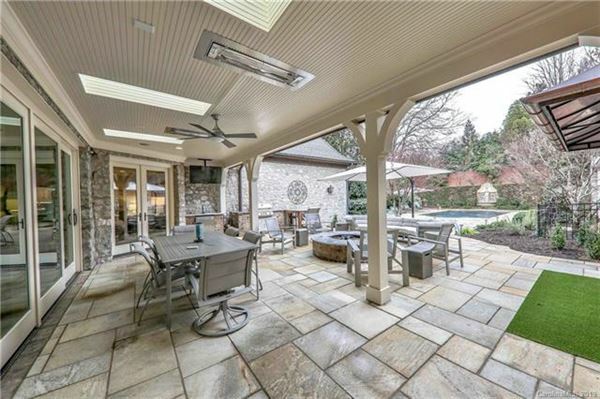 Solid wall of glass doors in great room lead to outdoor oasis with covered/heated stone porch with kitchen, TV and dining area. 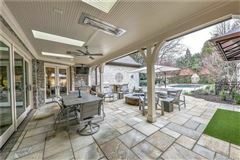 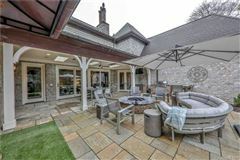 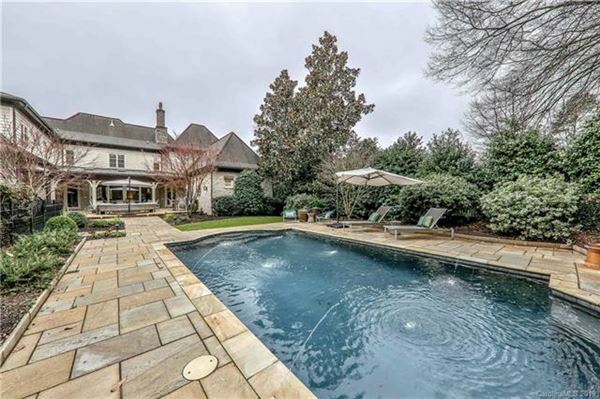 Open air stone patio with gas fire pit overlooks gorgeous pool. Extensive landscaping. 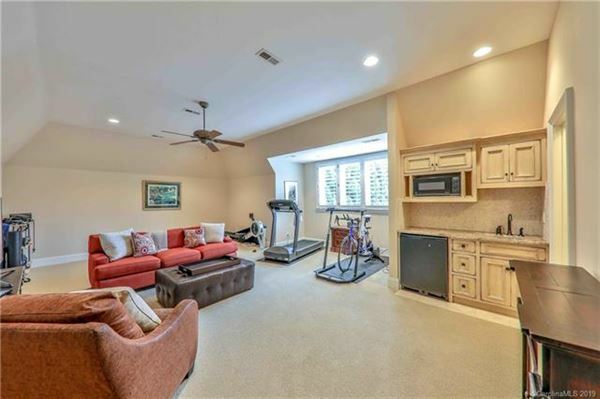 Three-car garage has second living area above with over 700 heated square feet with kitchen/bar area/full bath, perfect for fifth bedroom/nanny suite, exercise room, media, game room etc.